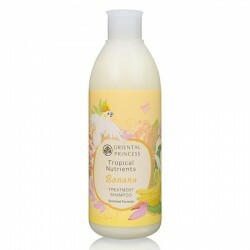 A perfect blend of unique flowery and fruity scent of muquet, ylang and pineapple. Oriental Princess' carefully crafted and fresh fragrance results in a unique body cologne spray that inspires confidence and liveliness. Lavishly splash your favourite fragrance over skin, neck, wrist and foldable joint for a scent-sational way to naturally fragrance all day. Spray on liberally after shower, bath or any other time during the day when you need a lift. Pamper yourself.